La Mirabelle de Lorraine et Whisky G. Rozelieures primés au Concours Agricole de Paris 2015. A unique travel through time and space : the heart of the Maison de la Mirabelle gets lightened for visitors ! 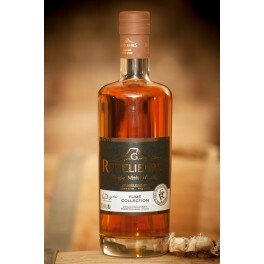 A very aromatic smoked peaty whisky with a nice finish, a woody flavour perfectly blended with the cereal and the Fino over-ripened fruits, slightly mineral. Delivered at 46% for the connoisseurs. - the initial G. of the GRALLET family. - and ROZELIEURES, a small 160-inhabitant town located in Lorraine between Nancy, Epinal and Lunéville. Above all, it is the place where the family distillery has been implanted since 1890. It is famous for the production of the Lorraine mirabelle plum eau-de-vie, and known under the name of Maison de la Mirabelle. 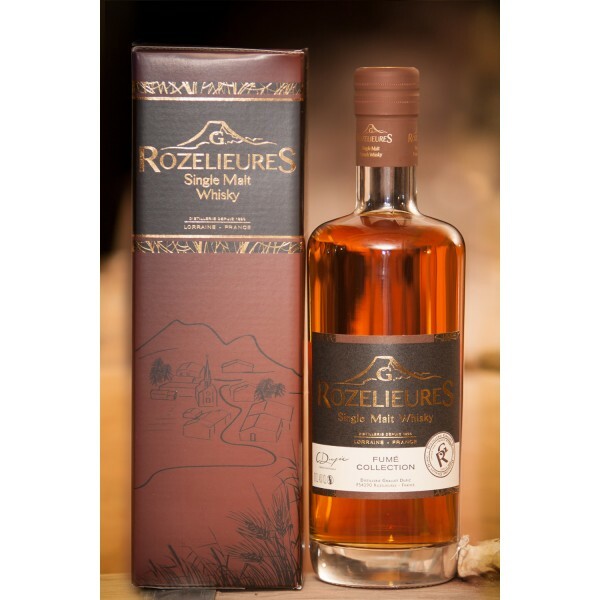 The name G.ROZELIEURES is completed by the naming 'WHISKY OF LORRAINE' to specify the place of distillation and ageing of the whisky. It is within the historic distillery of the GRALLET family (distillery created in 1860) that germinated the idea to produce some whisky in Lorraine. Here is the story of an idea imagined by Hubert Grallet, distiller and Christophe Dupic, cereal grower on their farm, in Rozelieures in Meurthe-et-Moselle. Both are knowledgeable amateurs of quality and aromatic whisky. The art of distillation was no secret for Hubert (who is famous for the Maison de la Mirabelle) when he suggested to Christophe, as a joke, the idea to create a whisky of Lorraine while they were harvesting barley. Several years of research and development, investments, fermentation, distillation and ageing were necessary to reach the level of quality their whisky has now. The groundwaters from which we draw are directly fed by the water of mountain stemming from sources from Vosges. Near our domain is one of the two volcanoes of the region of Lorraine: the one from Essey-la-Côte, peaking at 415 m (100 m-level difference from the village of Essey-la-Côte). The volcano is extinct today but we still can find stones of basalt which sprang from the volcano about 27 million years ago. Just like these two natural assets (the purity of water and the wealth of the earth), our whisky of Lorraine allies sweetness and character, for an alcohol of character but soft and round like the Vosges mountains.